I think they are too sheer, and I don't like strong smelling lippies. Third entry for the draw! Mitreyi: Yes, these are quite sheer, so they'll only work for sheer lip looks unless you're layering over something. 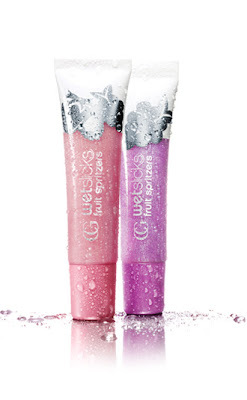 The scent disappears fairly quickly, but if you're looking for a more pigmented, non-scented gloss, and you're in Canada (or have a friend up here), check out Annabelle's glosses, they're great! And thanks for entering! I am also a sucker with drugstore brand make up products. Sometimes the big brands disappoints us too. I've owned several pricey ones yet their performance are less than stellar.